DIRECTV Review: Is Satellite TV the Way to Go? The idea of cord cutting is grabbing a lot of headlines right now. Cutting the cord involves cancelling pay-TV service in favor of streaming services. But for some cable TV customers, cutting the cord may mean something else: Switching from a wire that carries the TV signal to a satellite TV subscription, such as DIRECTV®. Even though cord cutting is receiving attention, nearly 93 million Americans still subscribe to pay-TV satellite or cable services, according to Leichtman Research. And DIRECTV has bucked the cord cutting trend recently, seeing some growth in its subscriber numbers. 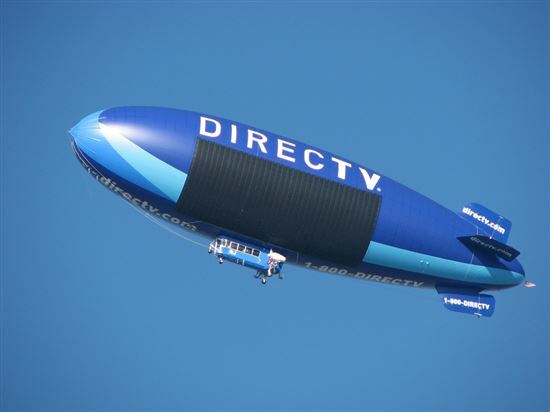 Leichtman Research says DIRECTV has more than 20 million customers in the United States alone. One of the best things about DIRECTV is that it's available almost everywhere in the United States. So even if there's only one cable company in your location, DIRECTV can provide a level of competition, giving you a choice in pay-TV providers. But are you better off receiving your TV signal from a low earth orbit or from a wire? There are plenty of positives - and some negatives - to having a DIRECTV subscription. We'll break it all down in our DIRECTV review. April 2019 Promotion: Call (855) 976-6355 and mention code 110555. Get a $100 gift card when you order new DIRECTV service, courtesy of USDIRECT, a CreditDonkey partner. DIRECTV is a satellite pay-TV provider, similar to cable TV providers. Customers subscribe to one of the DIRECTV pricing tiers (each of which has different channel lineups). DIRECTV provides the equipment needed to receive and decode the digital signals that contain the video. Rather than using a wire to carry the video signal to your home (as would a cable TV provider), DIRECTV sends the signal through the air. Earth-orbiting satellites send the signals to a receiver dish that's mounted to your home. When you order DIRECTV service, a technician will mount the satellite receiver dish for you and set up the in-house wiring, connecting the receiver dish to the set-top box. The DIRECTV set-top box decodes the signals and makes them viewable on your TV. To start, order DIRECTV at (855) 976-6355. Read on, we will go over the pros and cons of DIRECTV below. But first, let's highlight the current DIRECTV deals and promotions. Note: DIRECTV offers several different channel packages at different pricing tiers. Because the prices and channel lineups constantly change, you can see the latest information on the DIRECTV web site. You want a strong channel lineup: DIRECTV offers nearly every channel you could imagine, from sports channels to drama channels to subscription movie channels. You may have to pay a bit extra for a channel tier to find the exact channel you want, but with DIRECTV, it's almost certainly available. All of the monthly subscription movie channels are available too. And DIRECTV offers more channels in HD resolution than other pay-TV providers. Cable providers typically offer a chunk of less popular channels in SD video quality only. So if you want HD quality in the majority of channels, DIRECTV provides it. 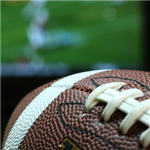 You're an NFL and sports fan: DIRECTV has had exclusive rights to the NFL Sunday Ticket package for several years, allowing subscribers to see every NFL game. You'll have to pay extra for the NFL Sunday Ticket, but if you love your NFL team and you don't live in its area, this is the best way to see your team's games for about $10 per game. DIRECTV offers similar packages for the NBA, NHL, and Major League Baseball. Tip: Now, you get the NFL Sunday Ticket for the current season at no extra cost, with the Choice Package and above. The subscription will automatically renew for next year's season at the prevailing rate unless you cancel beforehand. You like introductory price plans and bonus deals: DIRECTV offers some enticing 12-month introductory prices for new subscribers that are half of the full cost at various channel tiers. Just understand that you'll have to sign a 24-month contract, and the low price is only for the first 12 months. Additionally, DIRECTV offers new subscribers promotions, free subscription movie channels for three months, the current season of NFL Sunday Ticket, and/or reduced costs for equipment. You want content on multiple TVs in different rooms: With the new DIRECTV Genie set-top box/DVR combination and Wireless Genie Mini, you can share content from one DVR with multiple TVs. DIRECTV allows you to connect up to eight TVs to a single DVR. You also can pause a show in one room and resume watching it in another room. You are ready to make the jump to 4K video resolution: DIRECTV is one of the first pay-TV subscribers to begin offering some programming in 4K resolution (also called Ultra HD). It's limited programming for now - just one 4K channel and some downloadable movies in 4K - but there will be more down the road. You live in a rural area: Those who don't live in a city or town may not have any options for pay-TV services other than the two satellite services, DISH Network and DIRECTV. Cable television companies cannot economically run cable lines to a rural home, but satellite TV signals can be received anywhere ... no cords required. You don't have a fast Internet connection for streaming: Additionally, those who live in rural areas may not have the ability to stream video over the Internet because of a lack of broadband Internet options. Without fast Internet, using a streaming TV service is not an option. DIRECTV's signal doesn't require an Internet connection. You have an AT&T cellular network account: Because AT&T now owns DIRECTV, you can receive a few cost breaks on your DIRECTV service if you're already an AT&T customer. You want bundling options: The DIRECTV bundling capabilities aren't quite as simple as what you'd receive from a cable provider, which can bring you pay-TV, Internet access, and wireline telephone connectivity all on one wire. But DIRECTV does partner with Internet and telephone providers across the United States to give customers the option of bundling services and saving a little money. Depending on where you live, you will have different bundle options for internet and phone providers. DIRECTV partners include: AT&T, Verizon, CenturyLink, Mediacom, Windstream, Exede Internet, HughesNet, and Cincinnati Bell. You can take DIRECTV with you when you move: Because DIRECTV is available throughout the United States, if you're moving to a new location, you can keep your DIRECTV subscription. If you have a cable TV subscription, your current provider may not have service available in your new location, meaning you have to switch to a new provider. Additionally, DIRECTV will give you some deals on new and upgraded equipment when you're moving, which is a nice enticement for customers to stick with the company. You don't like extra fees: DIRECTV sometimes includes monthly charges for certain types of equipment and services, such as for extra HD DVR/set-top box hardware, DVR service, or HD service. It also charges a mandatory monthly regional sports fee whether you watch sports or not. Some other pay-TV companies may charge you upfront for equipment, but they won't have monthly fees. Be sure you understand any one-time or monthly equipment charges when you're trying to compare different pay-TV services. You watch A LOT of shows: DIRECTV's DVR isn't as advanced as DISH's Hopper 3. DIRECTV's Genie can only do 5 recordings at once and store 200 hours of HD content. If you have a lot of favorite shows that air at the same time, it may not be enough. In comparison, DISH's Hopper 3 can record 16 shows at once and store 500 hours of HD content. You're concerned with signal loss: Occasional signal loss is the most common problem for DIRECTV. During periods of heavy rain or snow, your satellite dish may lose its signal temporarily. Certainly, the signal loss issues are more problematic in parts of the country that have frequent heavy rain or snow storms. Additionally, you need to have a clear view of the southern sky to receive DIRECTV's signal from the orbiting satellites. Trees and buildings can block the signal, leaving you unable to receive DIRECTV. You don't want a satellite dish receiver mounted to your home: The satellite dish receiver is a couple of feet in diameter and includes a mounting bracket. It's definitely noticeable when it's mounted to your home or mounted to a pole in your yard. Some people don't like the look of the dish, so a cable pay-TV subscription may be a better option, as it needs no extra equipment outside the home that's clearly visible. DISH Network: DISH Network is the direct satellite TV competitor to DIRECTV. If you live in a rural area where satellite TV is your only pay-TV option, DISH is the only alternative to DIRECTV. Cable TV: If you live in a city or town of almost any size, you probably have at least one cable TV company that serves the town. Some larger cities will have multiple cable TV providers, and when they compete with each other, prices drop quickly. You certainly can subscribe to satellite TV when you live in a city, but DIRECTV and DISH have to compete with cable TV providers inside cities. We won't list all of the cable TV providers you can pick from, because your options depend on where you live. Unlike DIRECTV and DISH, which serve the entire United States, different cable companies only serve certain areas of the country. Skinny Streaming Bundles: If you have a fast Internet connection available, you may be able to subscribe to streaming pay-TV services, also called skinny bundles. These services offer a limited number of live TV channels, and the smaller channel lineup is available at a discount to what DIRECTV offers. The channels arrive at your home entirely through the Internet, rather than beaming down from a satellite. Skinny bundles don't require set-top boxes, which can save you additional money. But they don't typically work with DVRs, meaning you'll lose some functionality. The primary skinny bundle live TV services currently available include Sling TV, PlayStation Vue, and DIRECTV Now, which DIRECTV owns and operates. Care to be untied to a contract? Sling TV may be your best bet. Streaming Services: You can subscribe to streaming services such as Netflix or Amazon Video. These services don't offer live TV channels, so DIRECTV holds a big advantage over them in that area. But you can watch movies, original programming, or older TV shows through these streaming services for a low monthly fee, so you'll save a lot versus a DIRECTV subscription. DIRECTV is one of the largest pay-TV providers in the United States - and with good reason. DIRECTV has a strong collection of channels and offers multiple pricing tiers to appeal to various customers. With the Genie DVR/set-top box combination, which represents a significant upgrade over the company's previous set-top box/DVR technology, DIRECTV competes successfully against all pay-TV providers. But DIRECTV uses satellite technology to deliver the signal to its customers, which is quite a bit different than cable TV delivery technology. 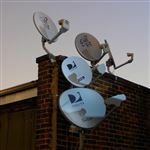 Some customers may balk at the idea of having satellite TV because of potential signal loss during poor weather and because of having an ugly satellite receiver dish mounted to the house. Still, DIRECTV's ability to bring special packages (such as pricing breaks for those with AT&T cellular service) and its 12-month introductory pricing deals for new customers is impressive. If you can put up with a couple of disadvantages, you'll appreciate DIRECTV's great customer service, strong channel package tiers, and watching your favorite NFL team every week, no matter where you live.